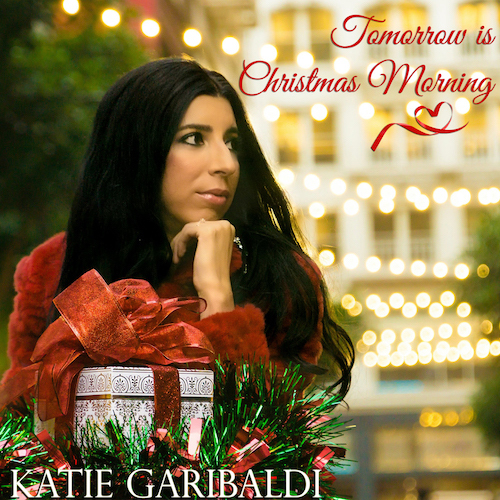 Singer/songwriter Katie Garibaldi is lighting up the season with her new single, “Tomorrow is Christmas Morning.” This original song features a classical string section - part of Katie’s signature sound - that lends to the traditional feeling of the holiday, bolstered with a seasonal arrangement of sleigh bells and chimes, insuring the listener feels the spirit of the season. The poignant ballad touches on a theme everyone can relate to: trying to get home in time for the holidays. Who can’t identify with the yearning of wanting to make it back to your loved ones in time for Christmas? Garibaldi puts all her Americana meets folk charm into this soon-to-be holiday classic, as she does with all her music. Both critics and fans alike lauded her most recent EP, ROOTED CLARITY, and Katie promises that “Tomorrow is Christmas Morning” is a precursor to a full-length holiday album coming next year.